Ted Roach is a director, producer & editor with over fifteen years of experience working in the film, television, & digital media industry. His productions have screened in over 30 film festivals, won several awards, and have been broadcast internationally (more information and video samples can be found at www.TedRoach.com). Most recently, Ted produced and co-edited a docu-series following the life of international pop star, Ke$ha, as she traveled around the world on her first headlining tour. Shooting began in 2011, and this project was sold to MTV in early 2013, ultimately becoming season one of "Ke$ha: My Crazy, Beautiful Life." This six-episode, first season premiered in April 2013. 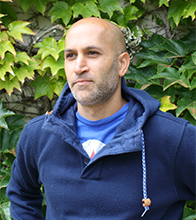 Ted remained onboard the project as a producer and consulting editor after the move to MTV, and has continued working on the project to this day. The second season will premiere on MTV October 30th. 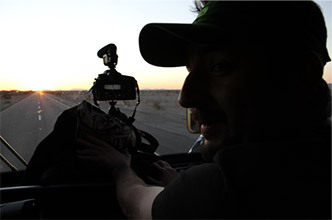 Before the Ke$ha project, Ted worked in Washington, DC as a freelance video journalist & documentarian, regularly producing online video shorts for organizations such as the National Park Service, NOAA, Investigative Reporting Workshop, and the American News Project. These projects have won several CINE Golden Eagles, TIVA-DC Peer Awards, and screened in many film festivals. While in DC, Ted also pursued an MFA in Film at American University, although he worked nearly full-time throughout his three years there. He was a Student Academy Award regional winner and national finalist in 2010 for his co-productions "Ecoviews: Three Stories from the Chesapeake Bay" and "Chesapeake Gold". Several of his AU/NOAA collaborations were picked up by websites such as the Huffington Post and Life on Terra, and he won many student film awards while in attendance. When he graduated from American, he was awarded the 2011 University Award for Outstanding Graduate Scholarship, the first time a School of Communications student had ever won this prestigious award. He also served as the graduate commencement speaker for the School of Communication. In addition to the M.F.A., he also holds a B.A. in History from the University of North Carolina at Chapel Hill, and a directing/editing certification from the Los Angeles Film School. 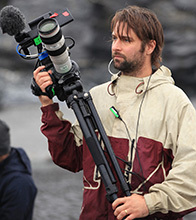 Brad is an award-winning filmmaker with a diverse background in the biological and physical sciences as well as international development, Latin American issues and public health. He served for 3 ½ years in the Peace Corps in Nicaragua as a community health volunteer, and recently worked as Field Project Manager in Nicaragua for the solar energy development organization Power to the People. His passion and focus is Latin America. He has produced, filmed and edited many independent productions both domestically and internationally, including the highly acclaimed documentary "My Village, My Lobster," winner of the CINE Golden Eagle for Independent Documentary and an official selection in numerous festivals; the PBS program "EcoViews: Three Stories from the Chesapeake Bay," a National Finalist for the 2010 Student Academy Awards and CINE Golden Eagle Winner; "The Road We Know," a feature-length film about youth efforts to combat HIV/AIDS in Botswana; "Waiting for Oil," a half-hour documentary about the BP Deepwater Horizon oil spill; and "120 Days," a feature-length documentary about an undocumented Mexican immigrant’s last days in the United States with his family. Recently, he worked for PBS Marketing and Communications producing on-air, on-line and radio promos for PBS programs, including the Emmy Award-winning Masterpiece series "Downton Abbey" and the American Experience film "Freedom Riders." Brad holds an M.A. in Film and Video Production from American University and a B.S. in Biology and Geology from the University of Georgia. More information and video samples can be found at www.BradAllgood.com. Sandra Sampayo is a producer, television host, and actress who has been involved in film, music and theater for the past fifteen years. She has worked with an array of international artists ranging from Shakira to The Rolling Stones, and served as the Manager of Talent and Artist Relations & Music Programming at MTV Networks Latin America for almost a decade. Sandra has also worked as a producer on numerous MTV, VHI, and NICKELODEON productions. In 2008, she directed and produced an independent documentary with her husband, Lagan Sebert (also a co-producer listed below), about the drug war in Colombia called “Busco Personas: The Faces of Colombia’s War.” Their film won the Audience Award for Best Short Film at the 2008 AFI Film Festival in Los Angeles, and was acquired for international distribution. In 2011 Sandra and Lagan started Magic Seed Productions and since its inception have developed and produced a documentary series on the life of popular musician Ke$ha. The show premiered on MTV on April 23, 2013 and the second season is currently in production. Award-winning director and producer Lagan Sebert formed Magic Seed Productions in 2011 with his wife, long-time TV producer, Sandra Sampayo. Magic Seed developed and produced the Ke$ha documentary series mentioned in Ted and Sandra's bios above. Lagan's company also produced the docu-series companion book "My Crazy Beautiful Life," which is a 200-page biography and scrapbook published by Simon and Schuster in late 2012. Magic Seed has worked with music artists such as The Wallflowers, Manchester Orchestra, Toby Keith, Roger Sanchez, Matt Goss, and Ke$ha to produce digital content and viral campaigns. Before creating Magic Seed Productions, Lagan worked as a documentarian and journalist for years, producing award-winning stories for Huffington Post, Financial Times, NPR, Current TV, and the Documentary Channel. With his wife Lagan produced and directed an independent documentary about the drug war in Colombia, South America. “Busco Personas: The Faces of Colombia’s War,” won the Audience Award for Best Short Film at the 2008 AFI Film Festival in Los Angeles, and was acquired for international distribution. Tarek Anandan is a freelance website designer and developer based in Washington, D.C. He has led or contributed to the design and development of more than one hundred websites and web applications. He primarily works with nonprofit organizations and other socially focused ventures. For 120 Days, he created the website's concept and design and subsequently executed the site's coding and development, including its desktop, tablet and responsive mobile versions. All proceeds go to the family.